Blue Heron Blast: There's one in every crowd. Wannabee peregrine falcon expert Kerry Johnson writes to tell me that the bird's feet in my pictures are too orange. Might have a focus problem too. ?? seems legs/talons a little out of focus. Colors are a little bright? This picture is a jpeg with no color alteration or vibrance added from the raw whatsoever. No sharpening either. Straight out of the chute. If you have a problem with the bird's feets' cheeto like color, I suggest that you take it up with the bird. They are born that way. you are a bird brain! you take is picture perfect. So before you scold me-lighten up. The ones I took had about the same color, BH. Sensors aren't automatically accurate with color. If the goal is to reproduce what was seen you may need a painter to do it. where is your pic's Sanoguy? I think that if you want absolute empirical evidence, hike out to where the peregrine falcons are and see for yourself. We all process color differently. There is an area in the brain called the primary V1 visual cortex, located in the calcarine sulcus. It sends signals to the V2 , the prestriate cortex and the V4, known as the higher visual area processing center. It is foolish to think that we humans all process color the same way with all of our different machinery. I stand by the color of these falcon's feet. I can tell by the color of your bird shots that you use computer tricks or different brands of cameras or maybe you might be you using somebody else's photos for your photo blogs. If I need to see a if falcon has orange legs I'll just go to the zoo. I would like to see your friends pictures, if his falcons have neon colored legs. BH... if the Anon guy wants to see my photos, please send them to him so he will shut up! Any photograph goofs up the color. As Robert observed the brain screws with color. To top it off the ambient lighting really screws with color. The color adjacent to another color can screw with color #1. Robert's picture is an accurate portrayal of how his sensor picked up the color on that day under those circumstances. 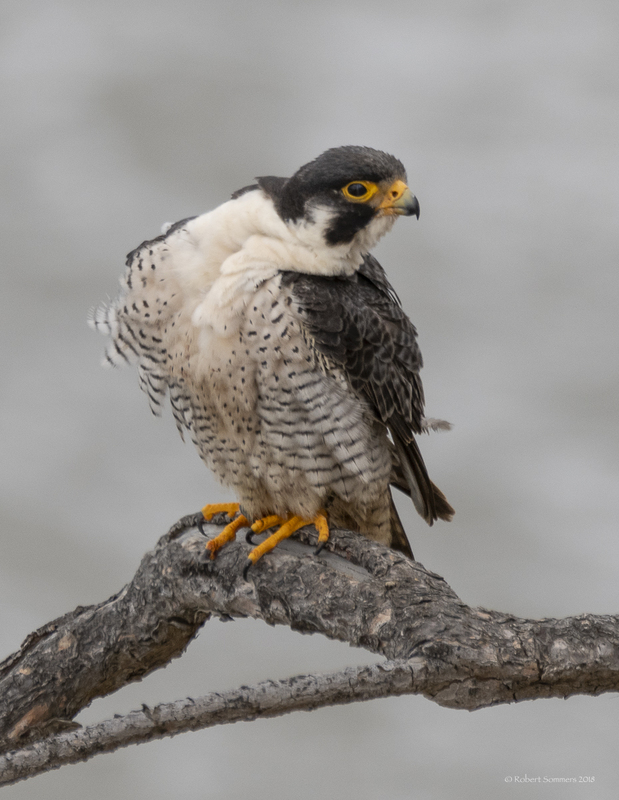 For falcons with various colors of legs, simply Google Peregrine falcon images. All of these merry variables will be in evidence as you view falcon toes in colors ranging from a nearly white yellow to a rich orange. One will need a court hearing to establish the color of falcon feet using this method. Your stuff's OK, but I like that guy at the airport. His stuff is really bitchen. Your fotos are somewhat like that guys. He totally captures birds in the wild. I like his eagles and owls the better than his moose or grizzly bear shots. Isn't there a program like photoshop that could give you perfect color? And with that, we are going to put these comments to bed. thanks all.